Waiting for judgment, waiting for a meeting, waiting for a sale. 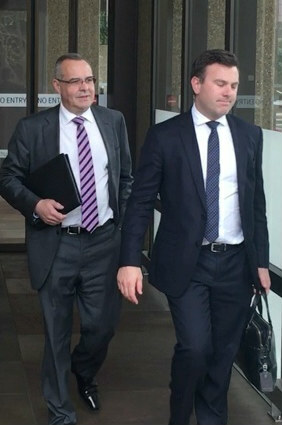 The hearing into the adequacy of the disclosures contained in KordaMentha’s much-maligned report to the creditors of TEN Network Holdings (TNH) was always going to be run with extreme diligence by Supreme Court Justice Ashley Black. This is not only because SiN suspects that Justice Black conducts every hearing with extreme diligence but because TNH creditors are scheduled to vote on a momentous resolution to sell TEN next Tuesday and the judge has promised the parties he would deliver judgment on Monday. To give himself sufficient time, the judge told the court this week that whilst the hearing could run for three days, he would be prepared to keep the court open till 7:30pm on Wednesday to compete the proceedings earlier. After kicking off on Tuesday, much of Wednesday afternoon was taken up by submissions from counsel for 21st Century Fox, which intervened in the proceedings as a creditor via its supply of content to TEN. Like TEN shareholders and media moguls Bruce Gordon and Lachlan Murdoch who initiated this week’s challenge, Fox is underwhelmed by the terms of the offer to buy TEN made by US entertainment giant CBS, an offer both KordaMentha as TNH’s voluntary administrators (VAs) and TNH receivers PPB Advisory have endorsed as superior to Gordon and Murdoch’s bid. Well before the usual 4:00pm close it was evident that much was left unsaid and when the normal afternoon closure time came the judge continued proceedings but, as it turned out, only for a few more minutes thanks to a fire alarm which saw the court building emptied. Precious minutes elapsed as the unexplained alarm was checked. But that wasn’t the end of the curious interruptions. One the building was declared safe to reenter, the barristers and lawyers and journalists and observer shuffled back up to court room 7c and Justice Black reconvened the hearing. Then the courtroom microphones promptly failed. Coincidence? No doubt. Probably some fuse was tripped by that fire alarm, which did we mentioned was unexplained? Nonetheless, eventually the hiccups were dealt with and the hearing completed. Now the parties just have to wait till Monday to learn whether the judge will decide that the VAs report provides sufficient information for creditors to make an informed decision or whether KordaMentha’s 215 page Report to Creditors and its 94 page supplementary report issued this week still require corrective disclosures, in which case the judge could order the VA’s to issue another report and the September 19 creditors meeting be postponed. Who said they don’t like Mondays? Be the first to comment on "Extended TEN hearing prevails despite delays"